March 18, 2012 - The International Air Transport Association (IATA) advocated strong partnerships across the air cargo value chain to address an industry agenda to enhance safety, security, sustainability and competitiveness. Tony Tyler, IATA’s Director General and CEO in a keynote address to the World Cargo Symposium which is meeting in Kuala Lumpur, Malaysia said “Air cargo is critical to the global economy. By value, over 35% of goods traded internationally are handled by air. But this accounts for just 0.5% of global volumes traded. Air cargo provides the connectivity that is at the core of modern businesses serving global markets. The growth potential is enormous. The challenge is to propel that growth sustainably, with quality products, efficiently delivered by a well-coordinated value chain. Safety: The 2011 hull loss rate for western-built jet aircraft stood at the historic low of 0.37 hull losses per million flights (one hull loss for every 2.7 million flights). However, managing shipments of dangerous goods is an increasingly complex challenge for air cargo as the number of shippers proliferates, particularly with the growth of e-commerce opportunities for individual entrepreneurs, who lack awareness of dangerous goods regulations. “The concern over shipping lithium batteries is a good example of where the supply chain needs to cooperate to raise awareness levels,” said Tyler. Securing the Supply Chain: The IATA Secure Freight pilot program was launched in Malaysia in 2010 with the goal of securing the supply chain by ensuring that air cargo has come from either a known consignor or regulated agent and has been kept sterile until it is loaded onto the aircraft. The success of the Malaysian pilot project has encouraged Kenya, Mexico, Chile, South Africa, Egypt and the United Arab Emirates to start their own programs. Competitiveness: “Alongside a license to grow based on safety, security and environmental responsibility, to be successful the air cargo value chain must meet customer expectations with efficient and quality products and processes,” said Tyler, highlighting e-freight and the industry’s need to adopt Cargo 2000 as a global standard. E-freight: E-freight penetration stood at 11% at the end of 2011, ahead of the 10% target set by the IATA Board of Governors. “I see three components to achieving 100% by 2015. First, we need to understand e-freight is a supply chain initiative driven forward by the Global Air Cargo Advisory Group (GACAG). Second airlines must drive forward the implementation of the e-air waybill (e-AWB). Cathay Pacific and Emirates have led the way with mandating 100% e-AWB in their home markets. And finally we must ensure that the rapidly developing BRICS countries are on board,” said Tyler. Current e-AWB penetration is 4.6%. 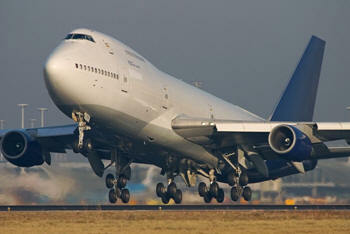 IATA is targeting 15% e-AWB penetration by the end of 2012 and 100% by 2014. Quality: In the last year Cargo 2000 made its Master Operating Plan an open source platform. “This effectively makes Cargo 2000 the industry benchmark for performance and quality. They will also be introducing a membership grading system to further identify the highest-quality participants. These are positive steps that will help us to provide quality products to our customers,” said Tyler. Tyler reiterated that managing quality requires a harmonized approach across the value chain, noting the industry agreement to mandate the “Time and Temperature Sensitive” label as an important example of improvements that can be achieved when the industry works with a common purpose. Industry Cooperation: Air transport is a team effort. And that is particularly true of air cargo. I am also making it a priority for IATA to work even more closely with our industry partners. For example we are working to modernize the cargo agency program in close collaboration with the International Federation of Freight Forwarders Associations (FIATA). I am also fully supportive of the GACAG. This group is unique in the air cargo industry and we must all support the efforts of this coalition. All its members won’t always have the same view of the world. But our fates are linked as we are in the same business. By focusing on our common interests, I am confident that much can be achieved,” said Tyler. In its latest forecast (issued December 2011), IATA expects air cargo to generate about 11% of total revenues or $66 billion. This is only slightly behind the average 14% contribution of business class to industry revenues. Growth in both volumes and yields is expected to be flat in 2012 as a result of economic uncertainty primarily centered on Europe. IATA will issue a revised forecast on 20 March.